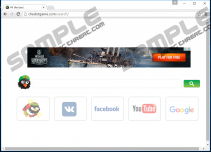 Search.chedot.com is a browser hijacker that is set to modify your browser’s settings, thus changing your browser’s homepage. If you were unfortunate enough to get it on your computer and you are looking for ways to remove it, then look no further because we will show you how at the end of this short description. Like all browser hijackers, this one too is also set to display modified search results that include promotional links and advertisements of unverifiable legitimacy. Hence, this browser hijacker can jeopardize your computer’s security. Please read this article to know more. 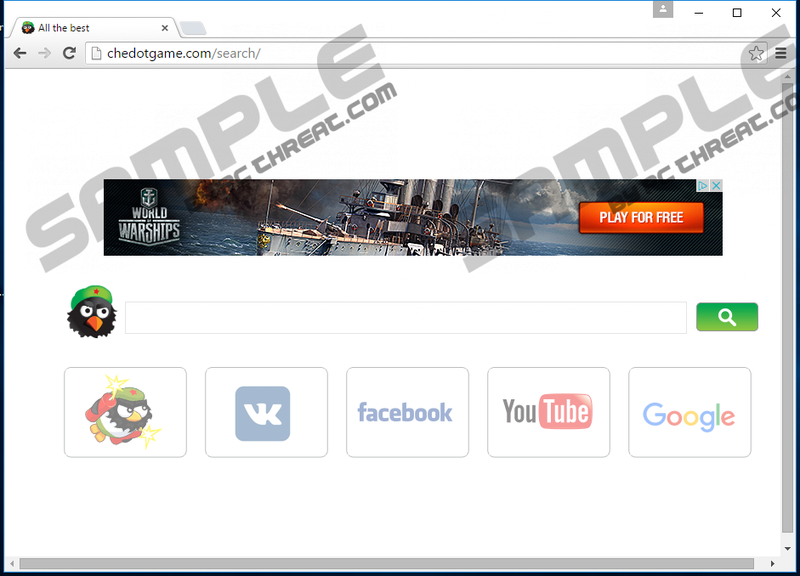 This browser hijacker is known to come as the homepage for a web browser called Chedot. As you can see both of them share the same name and, thus are developed by the same company. This company is called Guerrilla Programming, and it is located in Tallinn, Estonia. However, this hijacker’s distribution is not limited to Eastern Europe as we have received reports of it being bundled with malicious software bundles that are distributed globally. Previously, Search.chedot.com has distributed exclusively with the Chedot browser. However, now it is compatible with Internet Explorer, Firefox, and Chrome. We assume that Search.chedot.com uses bundled installers to inject it into the browsers while installing unrelated software. Furthermore, the installation wizard will not ask permission to change your browser’s homepage to Search.chedot.com — everything will be done automatically. A browser hijacker is an infection that is secretly injected into a computer, and Search.chedot.com meets this criterion. The reason why it is distributed in such a way is simple. Users do not want to use some shady unknown search engine that is inconvenient to use. Note that this hijacker is based on Google.com. However, its developers are apt to inject modified search results that contain promotional links and advertisements, because this is how they can make easy money. Since its shady developers are only interested in making money, Search.chedot.com’s ads and promotions can come from unreliable entities who seek to promote malicious websites and software downloads. Therefore, your computer’s security may be compromised with spyware, Trojans, keyloggers, and so on. And so, it is of utmost importance to restore your computer’s security be deleting this browser hijacker as soon as possible. Getting rid of Search.chedot.com should be as easy as changing your browser’s homepage address via browser settings. However, this browser hijacker can have more than one version. So it may modify your browser’s files and registry values making it very difficult to remove manually. In such cases, we recommend using an antimalware removal tool, since tampering with Windows registry can have disastrous consequences, so we do not recommend doing so for the not tech-savvy kind of users. We hope that the information provided in this article was useful. Search.chedot.com is not a safe search engine since it contains unreliable third-party ads. So please make use of our removal guide located below. If changing the homepage was not enough to get rid of this browser hijacker, then we suggest using our recommended anti-malware program. Launch Firefox and simultaneously press Alt+H. In the dialog box, click Refresh Firefox. Then, open the Advanced tab and click Reset. Quick & tested solution for Search.chedot.com removal.